In 2015, a Canadian study determined that humans in the “smartphone” era now have shorter attention spans than goldfish. That’s right, nowadays you get only eight seconds with the average person before they get distracted. Maybe that’s why Twitter is so popular. The speed limit on Twitter is 140 characters. It’s the sports car of social media platforms, and is used by everyone from celebrities to internet trolls to some of the world’s foremost thought leaders (but probably not goldfish; they lack the thumbs for tweeting). How much is 140 characters? Not much. 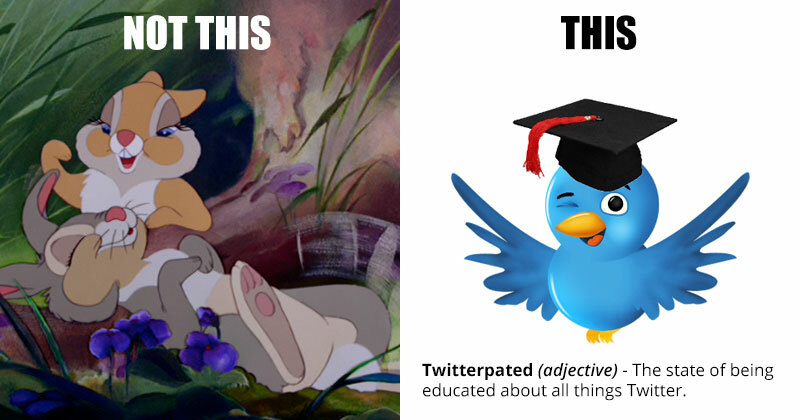 So, if you want to master Twitter, you’re going to have to learn to spit out those Tweets (and keep ‘em brief). In this post, we’ll show you how to master Twitter and leverage it to promote your vacation rental properties. If you’re a goldfish, high school teenager or busy executive, you can just read the Tweet-sized summaries at the top of each section (i.e. the TL;DR route). If you’re a bookworm, speed reader or straight up old school homie, you can read the detailed version; it’s approximately 79 tweets long. Ready to get Twitterpated? Let’s get started. “The first step to be successful on Twitter is setting up a Twitter profile.” – via Captain Obvious. There are a few things you’ll need to know about how Twitter works before you start sending tweets out into the Twittersphere. It all starts with your tweets, which need to be 140 characters or less. This means you’ll need to be pretty creative in how you craft your message. Try to get rid of unnecessary pronouns, find shorter synonyms or use abbreviations. Want to tag one of your followers in a post? Use the @ symbol followed by their username. URLs can be long, and they take up precious characters in your tweet. Never fear! We have a solution for you. Link shortening tools like bit.ly, goo.gl and Ow.ly will take your super long URL and turn it into a short link that’s just a handful of characters. Most of these tools also have tracking abilities so you can monitor the number of people clicking your fancy shortened link. Follow other users. In the Twitter world, it’s pretty common for people to follow you back. Consider following users who interact with your posts, accounts you admire, industry thought leaders, potential customers, competitors, or followers of your competitors. The sky’s the limit. Using hashtags will help you get your tweets in front of users who may not follow you. Not sure which hashtag to use? There’s a few ways to figure out which one(s) fit best. Check out the trending topics and hashtags on your Twitter dashboard and determine if you can contribute to one of those conversations. You can also use a tool like Hashtagify to search for hashtags trending in your industry. Be a part of the conversation by interacting with other users. Consider thanking anyone who shares your content, responding to questions people tweet about, or retweeting great content you come across that might fit into your Twitter strategy. Creating connections with other people on Twitter makes it more likely that they’ll follow you and could, in turn, start interacting with your tweets, as well. Advertise right within Twitter to help grow your following and increase engagement. Like many other online advertising platforms, Twitter allows you to target custom audiences to ensure you’re getting the most qualified new traffic. Learn more on Twitter’s business page. So, we’ve started building your audience. Now it’s time to get your message out to the right people and leverage the power of Twitter to amplify it. One of the most important things to understand about Twitter is that it's a super fast moving network. Think about online marketing as a journey. You’re in your car and you’re driving. As you continue down the road, you see a bunch of billboards on the side of the road. Some of them catch your attention; other don’t. But, a big factor in which signs catch your attention (and which of those messages you remember) is the speed of the car. Social networks like Facebook, Instagram, LinkedIn and Google+ move at a slower pace. Imagine the car is going like 20 miles per hour and the signs are bigger and farther apart. That’s these networks in a nutshell. With Twitter, imagine the car is going about 65 miles per hour. The signs are smaller and you have less time to read them. Needless to say, you’re going to miss a lot of the signs and remember less of the messages. So to be successful, you need to amplify the reach and frequency of your messages. So, while posting once a day (or maybe even 3-5 times a week) is enough on the slower networks, you need to be posting on Twitter multiple times a day. You also need the help of other Twitter users to amplify your message, in the form of retweets, mentions and likes. But, unless you’re getting out and about (and doing a bunch of interesting things), you probably won’t have the time or the content to post on Twitter multiple times a day. So how do you get around that? Automation. There are tons of great tools for automating and tracking your social media efforts (and we’re going to be talking about them in an upcoming post in this series). But today we’re going to narrow it down to just our favorite Twitter management tool here at LiveRez, and that’s Buffer. Buffer is a free tool (with great paid versions) that allows you to queue up and schedule tweets and other social media messages, as well as track the engagement level of those posts. The two big benefits of Buffer are that it can save you time and improve your performance. Create multiple versions of your tweets. These are tweets all on the same topic or sharing the same piece of content. You just need to write multiple variations of them. Change up the wording. Change up the images. Change up the hashtags. Schedule all the different versions of these tweets, and schedule each multiple times. You’ll want to do this for a wide range of tweets, too. This will give you a huge bank of tweets to draw from. Put all these tweets in your Buffer queue. One of the great things about Buffer is you can set up how many times you want to post a day, at which times (Buffer can even pick the best times for you), and then you can just add a huge list of tweets to your bank and Buffer will post them in order, at the pre-determined times. When you’re scheduling multiple posts, this makes life so much easier. Imagine if you had to go and manually set a scheduled time for each post? See what performs and use it again. Buffer will keep track of all the engagement on your posts. You’ll see potential reach, likes, retweets and clicks. You’ll easily be able to identify which versions of which tweets are getting more engagement than others. Now, all you have to do is pick the winners and re-buffer them (you can do that right from the Buffer analytics interface). Now you have a data-driven way to increase your engagement. And, as an added bonus, when you’re armed with this data, you can use Twitter as a testing ground to forecast what content will perform well on some of the slower networks (like Facebook), where you don’t have as many opportunities to post and are limited algorithmically by how frequently you can repost the same content. Advanced users might want to look into a program called IFTT (IF Then Then That). This service hooks in with a number of other online services and lets you automate actions based on conditions (it’s a lot like the email automation and trust accounting automation we have set up in LiveRez). IFTTT let’s you create recipes. Here are a two related to Twitter you might want to check out. 1. If you post something to your Facebook page, then post the same thing to Twitter (appended with a link back to the Facebook post). This is a great time saver and the link back to Facebook can help you cross promote your Facebook page. 2. If you publish a new Wordpress blog, then post it to your Twitter account. Another great time saver. Just make sure your blog post is really ready before you hit publish. Post about your content as soon as it is published. Post about it again later that day. Post about it the following day. Post about once more later in the week. And, then (if the content is more evergreen than time sensitive), you can run it through the Buffer strategy we outline earlier in this section. 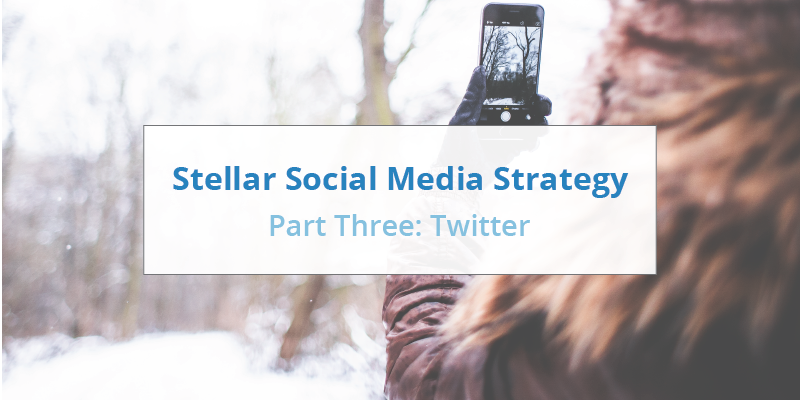 A big part of making this strategy work well and take off quicker is understanding what types of tweets perform well. That way you aren’t starting from scratch and learning the hard way. And leveraging hashtags, gives you a 16% boost. This is some powerful information to have in your back pocket when you are starting to compose different variations of your tweets. But, just remember, the real proof is in the pudding. Make sure you are engaged in a constant process of testing, tracking and refining. That’s the secret sauce that separates top-tier marketers from low-level noise makers. What did you think? Did we miss an important tip? Have you had success using Twitter to market your properties, and guest and owner services? Let us know in the comments below.